Colonial School District has embraced the maker movement by providing students with the innovative spaces, tools, technology and supplies that they can use to create new things. At Colonial Middle School and Plymouth Whitemarsh High School, the library media centers offer creative makerspaces with 3D printers and supplies like conductive paint and L.E.D. lights where students can experiment. "Our makerspace is an exciting thing," said Sara Frey, Library Media Specialist at Plymouth Whitemarsh High School (PWHS). 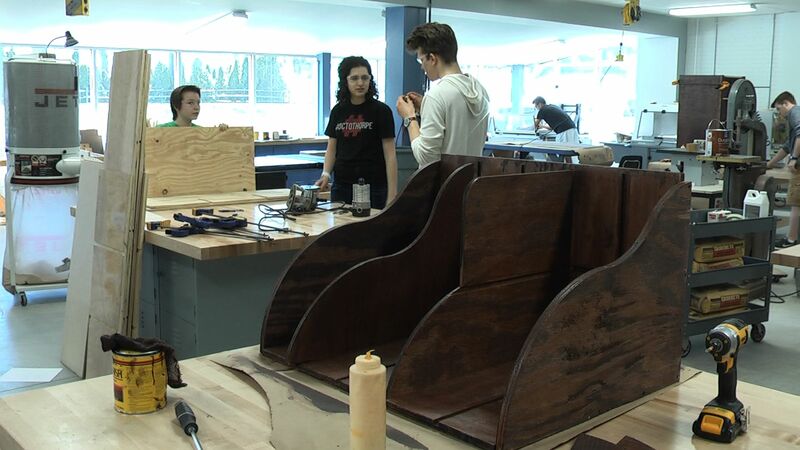 "It really does give us a physical location to try out new things with our students that maybe doesn't fit into our curriculum now, but may in the future -- or may just be an exciting opportunity for our students to get involved with other STEAM aspects outside of the classroom walls." The high school's new Entrepreneurship, Design and Innovation -- or EDI -- department provides more advanced tools and equipment that students can use to create working prototypes for their engineering courses or actually build the designs they've created in their computer-aided drafting classes. "You can pretty much create anything," said Scott Horry, who is in 11th grade at PWHS. "On the laser, the tolerance is crazy. 3D printers, you can really print anything you want, as long as it's within the size. The same [is true] for all of the materials in the shop." But in order for the students to learn a piece of equipment, the teachers have to learn it first. To help bring our teachers up to speed, Colonial has a membership in an organization known as NextFab in Philadelphia. "NextFab is a makerspace," said Melissa Guglielmo, a location manager with NextFab. "It's getting to be a more widespread word, but essentially what that means is that we provide access to a lot of equipment, and that equipment isn't just your traditional tools, like bandsaws, table saws or welding. 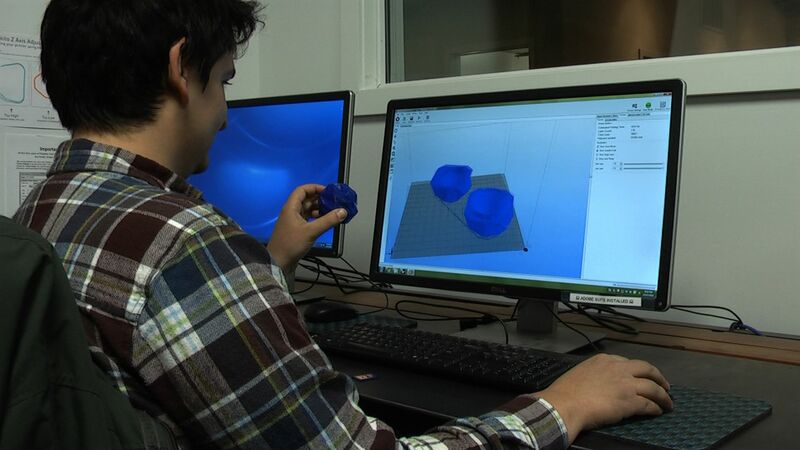 It also is embracing the future of making, so what you're seeing there is the incorporation of laser cutters, 3D printers, CNC routers -- a lot of newer technologies that are being used to make the things around us." As Colonial collects many of these same machines and tools for the makerspaces around the District, the teachers head to NextFab for training and advice. "It's not just about putting the tools there. You have to have the people there who will really bring those tools to life with all the different curriculum and the projects and the know-how," added Guglielmo. "That's what they're working to do, and we're happy to help them do that here." In addition to helping Colonial empower their students through innovative makerspaces, the partnership with NextFab has also inspired the Fine Metals curriculum at the high school and a series of Adult Evening School workshops that are tentatively scheduled for the fall.